Upon pickup at the airport or your hotel, transfer to Yaxha for your guided tour of the complex, one of the most significant archeological sites of Guatemala. Your experienced guide will lead your group around the excavated ruins and offer insight about the Mayan civilization that used many of the 500 structures for ceremonial purposes. Listen as your guide discusses the influence of Teotihuacan on the architecture of Yaxha, including its pyramid temples, ball courts and elevated plazas. 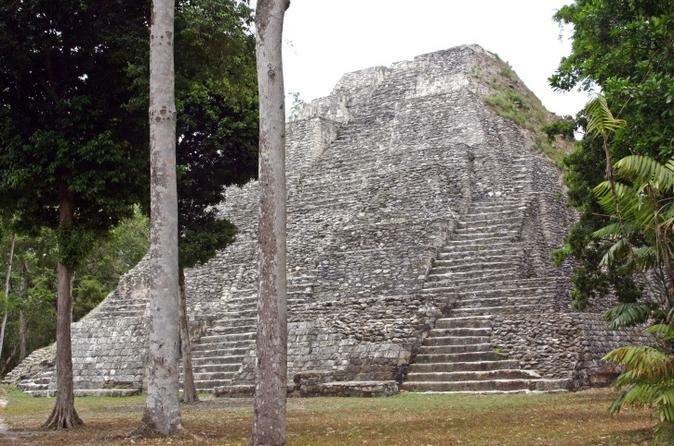 Discover the Twin Pyramid Complex (the only one outside of Tikal), also known as the Stelae Plaza. At the East Acropolis you’ll come upon Structure 216, a 100-foot (30-meter) tall pyramid where remains of a temple shrine still stand on its base, making it the highest building at Yaxha. When you reach the astronomical complex within Plaza C, you’ll find Early Classic stelae and a causeway to the city center. Visit the North Acropolis, which dates back to the Late Pre-classic and includes an impressive pyramid in the E-Group complex. Your guide will enlighten you about the various stages of construction and tell about the multiple functions these structures performed. As you explore, marvel at the vast jungle surroundings and views of Lake Yaxha, seen from the summit of one of the temples. After touring the ruins, enjoy lunch on site before beginning your journey back to Santa Elena Peten or Flores, with drop-off at your hotel or the airport in the late afternoon.